Home > KMS	> KMS ver. 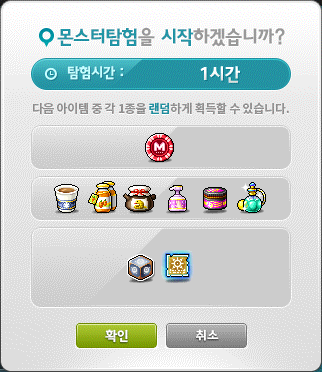 1.2.269 – MapleStory BEYOND: Wonder Winter! As a reminder, here is the schedule for the MapleStory BEYOND update. No update information centre video for this patch, just a small little infographic for the stuff added in this patch. Here’s the two world selection screens. One for Christmas, featuring Orca and Suu, and one for MapleStory’s 5000th day! Dream Breaker has been added. At the top of the Clocktower of Nightmares, Lucid’s nightmare has begin again! By protecting the Dreamy Music Boxes, help save the residents of Lacheln! Characters level 220 or higher who have accepted or completed the quest can talk to the Ragdoll of Dreams in City of Dreams: Lacheln’s Clocktower of Nightmares map to enter Dream Breaker. While inside, you will have 3 minutes to protect yellow Sleepy Music Boxes while destroying the purple Nightmare Music Boxes (which will then turn into Sleepy Music Boxes) to fill the gauge at the top. If you do not fill the gauge completely yellow within the time limit or it becomes completely purple, you will fail. There are 5 separate parts of the map, each with its own Music Box. You’ll have to move from part to part to keep your defences up everywhere! 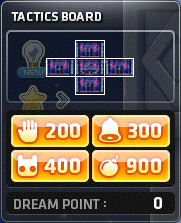 Every time you clear a stage, you will receive Dream Points (every 10 stages, the amount of Dream Points you are rewarded per stage is increased by 10). 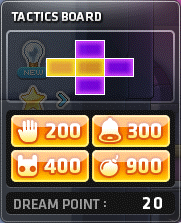 You can hold up to 3000 Dream Points. Your unused Dream points will be saved through different runs. You can consume Dream Points to use 4 types of Tactics Skills in each stage. You cannot use the same skill more than once in a stage. Based on your highest clear record, you can choose to begin at the first stage or any 10th stage that you have previously cleared. Based on your final cleared stage, you will receive a certain number of Dream Coins and experience points when you exit. You can collect up to 500 Dream Coins per day. You can trade in 30 Dream Coins for 1 Arcane Symbol: Lacheln by talking to the Ragdoll of Dreams. Every 10 stages after 30 stages, you can receive a medal from the Ragdoll of Dreams to prove your cleared stage record. After exiting, your cleared stage and clear time will be automatically registered in the weekly rankings. The weekly rankings will be reset between 11:30 PM on Sundays and 12:30 AM on Mondays, during which the content will be unavailable. After the reset, the top 5 ranked characters will appear as statues in the right side of Lacheln City. Characters who have used up their daily play count of Dream Breaker can talk to these character statues to receive extra Dream Coins (I always get around 30 coins in total). You can enter Dream Breaker 3 times per day. However, if you login at a PC Room on Saturdays or Sundays, you can enter an additional 2 times. Inside Dream Breaker, the usage/effects of certain skills are restricted. The Dream Breaker Open event will be held. During this event, you will receive 2x the Dream Coins and experience from Dream Breaker. Dream Breaker related items have been added. Mu Lung Dojo’s number of floors have been extended from 41 to 63 floors. Until the 40th floor, you can only use potions every 10th floor. From the 41st floor onwards, except for the last floor, you can use potions freely. The monsters on the 40th floor and below are the same as before. Except for certain boss-rank monsters, all monsters in Mu Lung Dojo will now apply the Personality system. Monsters can have one of three personalities: Infight, Out Boxing, and Anomaly. Infight personality monsters will dash towards you to attack in close range. Out Boxing personality monsters will attack at a distance. Anomaly personality monsters will teleport randomly to attack. Monsters will use different attacks and skills based on their personality. Monsters will have different rates of each personality from which they will be randomly chosen. Some monsters’ HP will change based on their personality and some will stay fixed. Except for certain boss-rank monsters, all monsters in Mu Lung Dojo will now apply the Special Skill system. Monsters will use special skills while attacking or after attacking. The Mu Lung Dojo [Formidable Foes] Open event will be held. You will receive 1000 Mu Lung Points the first time you enter Mu Lung Dojo each day (one character per world). You will receive a Mind and Body Training Center Entrance Charm based on your highest record each day (one character per world). The 5th job advancement quests have been modified. The waiting time in between activating another Arcane Stone has been decreased from 8 hours to 4 hours. After clearing the “5th Job: Record of Strength, Awakening of Strength” quest, you will receive additional rewards: 5 Core Gemstones. Characters who have already completed the quest will be able to get these additional rewards by accepting the “Record Keeper’s Gift” quest between December 22 and February 22. Characters who are out of combat will now be excluded from the party experience bonus and distribution. Monster Life’s monster ability of weapon defense has been changed to defense. An error where some hidden materials’ numbers were not visible in Hungry Muto when playing a Mechanic has been fixed. When you unequip the Angelic Bless or Onyx Ring, the buff will now be instantly cancelled. Newly created characters will be informed about basic systems through a dialog popup on the right side of the screen. Monster Collection expeditions have been changed. Characters level 33 or lower will no longer be able to use the Monster Expedition. Monster Collection registration can still be done on all characters, regardless of level. The Expedition times have been adjusted. The minimum expedition time has been changed from 30 minutes to 1 hour. Some reward items from completing Expeditions have been changed to be moveable to characters in the same world. The Expedition reward Silver Potential Stamp has been changed to be untradeable. When you start one, it will now show you all possible prizes. You will receive 1 prize from each ‘group’ of items. Meso rewards have been removed. The rewards will now be given to you directly, there are no more boxes that you receive and then must open. Level 1: Consumes 350 MP. Create a spear of darkness that deals 249% damage 7 times on up to 12 enemies with an additional 100% critical rate and 50% defense ignore continuously for a short period of time. Cooldown: 10 seconds. Level 25: Consumes 350 MP. Create a spear of darkness that deals 465% damage 7 times on up to 12 enemies with an additional 100% critical rate and 50% defense ignore continuously for a short period of time. Cooldown: 10 seconds. Level 1: Consumes 500 MP. Create 15 fireballs that find enemies for 20 seconds, each dealing 415% damage 5 times. For enemies within range, summon an additional fireball for every 1 stack of DoT on them. Enemies hit by multiple fireballs will take 25% reduced damage from the additional ones. Enemies hit by fireballs will take 203% damage every second for 8 seconds. Cooldown: 30 seconds. Level 25: Consumes 500 MP. Create 15 fireballs that find enemies for 20 seconds, each dealing 775% damage 5 times. For enemies within range, summon an additional fireball for every 1 stack of DoT on them. Enemies hit by multiple fireballs will take 25% reduced damage from the additional ones. Enemies hit by fireballs will take 275% damage every second for 8 seconds. Cooldown: 30 seconds. Level 1: Consumes 1000 MP. Create an icy area that deals 520% damage 10 times on up to 15 enemies then persists for 30 seconds, dealing 260% damage continuously and increasing Freeze stacks. Cooldown: 60 seconds. Level 25: Consumes 1000 MP. Create an icy area that deals 1000% damage 10 times on up to 15 enemies then persists for 30 seconds, dealing 500% damage continuously and increasing Freeze stacks. Cooldown: 60 seconds. Level 1: Consumes 1000 MP. For 31 seconds, when using Throw skills, they will throw stars in various directions all at once. Cooldown: 239 seconds. Lucky Seven: 4 extra directions. Triple Throw: 4 extra directions. Additional directional attacks will have their final damage decreased by 20%. Quadruple Throw: 3 extra directions. Additional directional attacks will have their final damage decreased by 40%. Level 25: Consumes 1000 MP. For 55 seconds, when using Throw skills, they will throw stars in various directions all at once. Cooldown: 215 seconds. Level 1: Consumes 1000 MP. For 51 seconds, transform, fully charge your Energy, and increase your final damage by 20%. You can use up to 3 Energy Balls, each dealing 415% damage 3 times on up to 10 enemies continuously with an additional 50% critical rate and 50% defense ignore. Cooldown: 180 seconds. Level 25: Consumes 1000 MP. For 75 seconds, transform, fully charge your Energy, and increase your final damage by 25%. You can use up to 3 Energy Balls, each dealing 775% damage 3 times on up to 10 enemies continuously with an additional 50% critical rate and 50% defense ignore. Cooldown: 180 seconds. Level 1: Consumes 500 MP. Shoot a giant cannon ball that deals 465% damage 4 times on up to 15 enemies continuously. You prepare 1 cannonball every 20 seconds and can hold up to 3 at a time. Cooldown: 3 seconds. Level 25: Consumes 500 MP. Shoot a giant cannon ball that deals 825% damage 4 times on up to 15 enemies continuously. You prepare 1 cannonball every 20 seconds and can hold up to 3 at a time. Cooldown: 3 seconds. Level 1: Consumes 350 MP. Shoot a huge flame in a specified direction that deals 499% damage 6 times on up to 12 enemies with an additional 50% defense ignore then returns to your position. Cooldown: 8 seconds. Level 25: Consumes 350 MP. Shoot a huge flame in a specified direction that deals 955% damage 6 times on up to 12 enemies with an additional 50% defense ignore then returns to your position. Cooldown: 8 seconds. Level 1: Consumes 1000 MP. For 51 seconds, whenever you attack with a dark property skill (except Shadow Spear), there is a 100% chance of creating a shadow carving in the ground. After a short period of time, the shadow carving will turn into a shadow spear and deal 104% damage 4 times on up to 8 enemies. When a shadow spear activates, if there are a certain number of shadow carvings near it, it will change into a giant shadow spear, dealing 416% damage 6 times on up to 12 enemies. The giant shadow spear can activate every 3 seconds. Cooldown: 180 seconds. Level 25: Consumes 1000 MP. For 75 seconds, whenever you attack with a dark property skill (except Shadow Spear), there is a 100% chance of creating a shadow carving in the ground. After a short period of time, the shadow carving will turn into a shadow spear and deal 200% damage 4 times on up to 8 enemies. When a shadow spear activates, if there are a certain number of shadow carvings near it, it will change into a giant shadow spear, dealing 800% damage 6 times on up to 12 enemies. The giant shadow spear can activate every 3 seconds. Cooldown: 168 seconds. Level 1: Consumes 1000 MP. For 42 seconds, increase your damage by 5% and when you attack, a lightning bolt will travel through up to 5 nearby enemies dealing 360% damage 6 times. The damage will decrease each time it hits another enemy. If there are 4 enemies or less, a giant lightning bolt will activate instead, dealing 360% damage 8 times. The lightning can activate every 3 seconds. Cooldown: 120 seconds. Level 25: Consumes 1000 MP. For 42 seconds, increase your damage by 17% and when you attack, a lightning bolt will travel through up to 5 nearby enemies dealing 600% damage 6 times. The damage will decrease each time it hits another enemy. If there are 4 enemies or less, a giant lightning bolt will activate instead, dealing 600% damage 8 times. The lightning can activate every 3 seconds. Cooldown: 108 seconds. Level 1: Consumes 1000 MP. Reset all of your cooldowns and for 31 seconds, increase your final damage by 5% and whenever you attack, automatically activate another spirit attack (keydown skills will have a 3 second duration). The spirit attacks can activate every 2 seconds. Cooldown: 120 seconds. Level 25: Consumes 1000 MP. Reset all of your cooldowns and for 55 seconds, increase your final damage by 17% and whenever you attack, automatically activate another spirit attack (keydown skills will have a 3 second duration). The spirit attacks can activate every 2 seconds. Cooldown: 120 seconds. Level 1: Consumes 20% HP and 6000 HP per second. Healing items and skills cannot heal more than 1% of your maximum HP. Increase your final damage by 1% per 4% of your maximum HP consumed. Every few seconds, spill Demon blood on the ground for 5 seconds, dealing 308% damage 2 times continuously on up to 10 enemies standing in it. If your current HP is less than 1% of your max HP, HP will not be consumed and Demon’s blood will not be spilt. On/off skill. When toggled off, cooldown: 149 seconds. Level 25: Consumes 20% HP and 6000 HP per second. Healing items and skills cannot heal more than 1% of your maximum HP. Increase your final damage by 1% per 3% of your maximum HP consumed. Every few seconds, spill Demon blood on the ground for 5 seconds, dealing 500% damage 2 times continuously on up to 10 enemies standing in it. If your current HP is less than 1% of your max HP, HP will not be consumed and Demon’s blood will not be spilt. On/off skill. When toggled off, cooldown: 130 seconds. Level 1: Consumes 50 Time Force. Deals 415% damage 5 times on up to 15 enemies. Enemies hit will be binded for 10 seconds, and based on the damage done, the bind duration will be increased up to 100%. For 30 seconds, your skill cooldowns (except skills not affected by cooldown resets) will decrease 200% faster, your attack speed will be increased by 2 stages, your final damage will be increased by 30%, and all nearby enemies will be slowed. After the skill ends, all enemies affected by Limit Break will take an additional 20% of the damage they took during the skill 15 times. Cooldown: 240 seconds. Level 25: Consumes 50 Time Force. Deals 775% damage 5 times on up to 15 enemies. Enemies hit will be binded for 10 seconds, and based on the damage done, the bind duration will be increased up to 100%. For 42 seconds, your skill cooldowns (except skills not affected by cooldown resets) will decrease 240% faster, your attack speed will be increased by 2 stages, your final damage will be increased by 35%, and all nearby enemies will be slowed. After the skill ends, all enemies affected by Limit Break will take an additional 20% of the damage they took during the skill 15 times. Cooldown: 240 seconds. Reboot World’s Core Gemstone droprate has been increased. The Fatigue limit has been increased from 200 to 300. Leafre’s Minar Forest has been reorganized. Certain maps’ sizes have been decreased. Hidden teleports for conveniently moving within maps have been added. Certain monsters’ status effect skills have been removed. Minar Forest area’s monsters will no longer use Weaken, Curse, Slow, or Defense Boost skills. The maximum number of monsters that can be summoned at one time has been increased. Magatia’s quests have been modified. Quests have been improved to make them easier to complete. The quest information window will have more details on how to complete quests. You no longer need to wear the Alcadno’s Cape/Zenumist’s Cape to accept certain quests. Hidden portals will now appear when you move close to them. Homunsculo and D.Roy’s spawn rates have been increased. When you complete all of the quests in Magatia, you will receive a medal. The Happy Christmas Cash Shop event began on December 15 and will run until December 28. Various Christmas themed items are on sale, including the Christmas Hat Box, Christmas weapons and effects, the Santa Boy/Girl packages, and the Snowman package. Until January 11, the New Demon pets will be in the Cash Shop! The Gold Apple’s special items have been updated with new wares including a 100% Unique Potential Scroll, 10 Core Gemstones Voucher, Character Name Change Coupon Voucher, and new chairs/ridings. The Happy Christmas event has begun and will run until December 25. It consists of three different events. For the Christmas Tree Decorating event, Henesys, Leafre, Haven, and Chew Chew Village will have Christmas trees! You can fight monsters around your level to collect Shining Stars, Colourful Decorations, and Fluffy Snow. After combining them into a Tree Decoration Box, you can take them to any tree to decorate it. There are four kinds of Christmas tree decorations: stars, snow, tree bows, and ribbons. You can decorate your tree by choosing any of these but each decoration can only be chosen 5 times. Each time you decorate your Christmas tree, you will receive BEYOND Coins. If you decorate your Christmas Tree a total of 15 times, you will receive 50 BEYOND Coins. For the Come Play in Happyville event, every hour, you will receive an invitation to Happyville! You can accept this invitation up to 2 times per day. 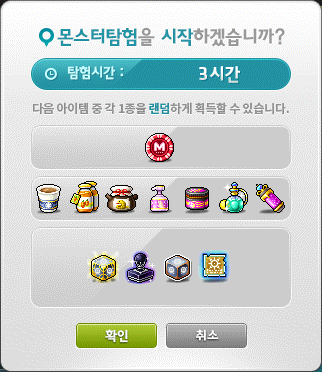 To celebrate MapleStory’s 5000th day on January 4, this event will take place from December 26 to January 4. It consists of three events plus a free item. Once per world, you can receive the Maple 5000th Day Flag, which is a Cash weapon with 3 attack/magic attack (stats expire in 10 days). First is the 5000th Day Party Cake Preparation event. You can hunt monsters around your level to collect 500 Candles, which you can use to decorate the cake. If you collect them every day, you’ll receive special gifts (once per world). The Rumbling Maple skill is unlocked when you use the coupon from the Christmas Tree Decorating event. You can use it until January 8. Based on your character’s level, the skill’s level will be increased. Rumbling Maple: When you’re with your Maple World friends, there’s nothing to fear! Pressing the skill key again will reverse the Maple friends’ direction. Level 3: 450% damage 200 times. Once all the number of hits are used, a certain distance is moved, or a certain amount of time has passed, the skill will disappear. Pressing the skill key again will change their direction. The Maple Warriors’ Greetings event allows you to greet other characters by right clicking on them and pressing the Greet button which will send them an invitation. Each day, you’ll receive 5 Greeting Missions, which will give you a special gift if you are successful in greeting someone with the correct specifications (e.g. a thief, or a Nova class, or a fourth job person). You’ll also receive 1 BEYOND Coin every time you receive another character’s greetings, up to 5 times per day. For the Maple 5000th Day Special Sweepstakes event, you can use the Entry Tickets you have collected to enter draws for various items, worth up to 100 million Won! Finally, during this event, Henesys and Leafre will be covered with 5000th day party decorations. In addition, the Multi Kill/Combo Kill effects and the appearances of Runes will be changed to a party style. From December 22 to January 3, log into the MapleStory homepage and register your account with 1 click, you can receive a special gift worth 70,000 Won! You can only register with one Maple ID per Nexon ID. If you change to the OTP (one-time password) system, you’ll receive the Pre-Registration OTP Box I as well! The Pre-Registration OTP Box II can only be opened by users who continue to use OTP for 20 days between January 4 and January 31. You can also link your MapleStory M account and your Maple ID before claiming your Pre-Registration Box to receive additional rewards! The Breakthrough BEYOND event has begun and will run until January 11. This event is for newly created (non-Zero) characters during the event. You can click the Breakthrough BEYOND icon on the left side of your screen to begin. The Mega Burning Project has begun and will run until January 18. From December 22 to January 11, you can create a new character in MapleStory M to redeem rewards in MapleStory as your character grows. You can receive these rewards once per Nexon ID. The Maple M Boost event consists of 2 daily missions that you can complete in MapleStory M to receive rewards in MapleStory. You can receive these rewards once per day per Nexon ID. The Lady Blair’s Dream Express event has begun and will run until December 27. During this event, you can freely move your Cash items between your different characters’ Cash Wardrobes! Dark Spear: damage has been decreased, cooldown has been decreased. And overall seems drk receive a nerf.. right? Did they increase it at some point between the original 5th job patch and this? I’m on GMS, and the cooldown for Dark Spear is 10 seconds currently. You may want to double check your numbers. I think there’s a problem with Beholder Shock too. Should it say “Cooldown has been increased to 12 seconds” instead of decreased? Currently it’s 10 seconds. Are you sure? The CD currently on GMS is 10, which is what you have for the original V update too.Nowhere can I find that it was 12. I think that either they had a typo when they typed it, or the value you have is wrong. No, only for spear move.. everything else is a buff. What is the one time password system. Can foreigners use it? I believe it’s something like every time you want to log in, you use your phone to generate a one time password. So no foreigners can’t use it. oh jeez. Wonder how long it’s enforced service wide. Already hard enough to get new people on KMS with i-pin stuff unless you go through shady chinese sites. OTP has been a thing for years and years, they definitely won’t be forcing it on anyone. I think it should be January* 4. Otherwise, great work as always! Increase your final damage by 1% per 3% of your maximum HP consumed. Weird, cause this would actually be a buff. Mechanic nerfed even more? Okay..
ummm sorry i dont understand the golden apple concept really well, so if u buy like the apple slices then each time u open it u get an item. but like the chances of getting the new items above are slim or ? like what are the golden apples supposed to give u when u click them? Golden apples are comparable to the gachapon system in GMS. You basically buy them, and then use them to get a random item and a apple slice which you collect multiples of to redeem for an additional prize. The slices are like red cube fragments. I suppose it’s closer to philosopher books than gachapon, but gachapon’s the easier comaprison. Yeah the above person is correct. However the chances of getting good items is pretty small haha, you can see the rates on the MS homepage. ahh i see! i was wondering bc ive only been getting scrolls.. 😦 😛 thanks though! I’ve said it before, I’ll say it again – Nexon. Hates. MECHANICS!!!!! This is so stupid. Why the heck would they nerf nightlords? 20% bonus exp and drop rate isnt event that much!!! They probably would nerf showdown even more to like 1% bonus exp and drop. Please nexon please… It’s gonna be harder for us to farm nodes and other droppable items. Can someone pls explain to me what it means by “demon’s blood attack cycle has been added” ? My bad, it should say “demon’s blood attack cycle has been increased” which means the blood will attack faster! KMST ver. 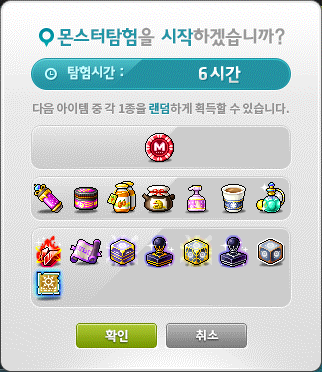 1.2.044 – 5th Job Skill Changes KMST ver. 1.2.043 – New 5th Job Skills!